Pioneers in the industry, we offer horizontal continuous strip casting machine for copper and copper base alloys from India. We are a leading manufacturer of horizontal continuous casting plant for strip, rod and section, we are serving our clients with their specific needs & tailor made equipments. Our capability of plant manufacturing in following specifications. Copper base Alloy : copper, brass, phosphor bronze, aluminium bronze, nickel silver, nickel etc. 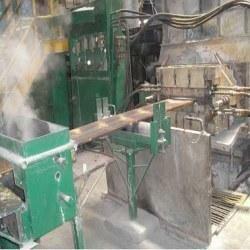 Looking for “Horizontal Continuous Strip Casting Machine”?